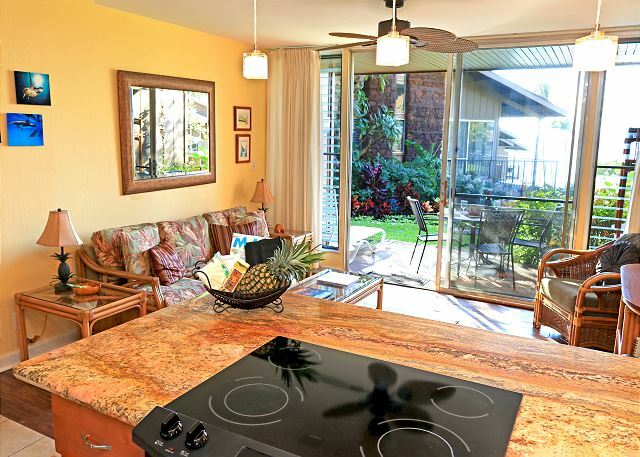 From the living room and lanai you will enjoy panoramic ocean views and nightly sunsets, as well as sweeping views of the grounds and pool. 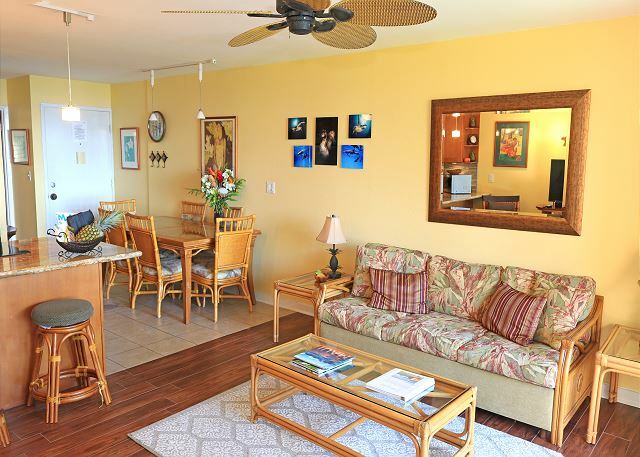 This condo sleeps up to four guests and has a queen-sized bed and a sofa bed in the living room. 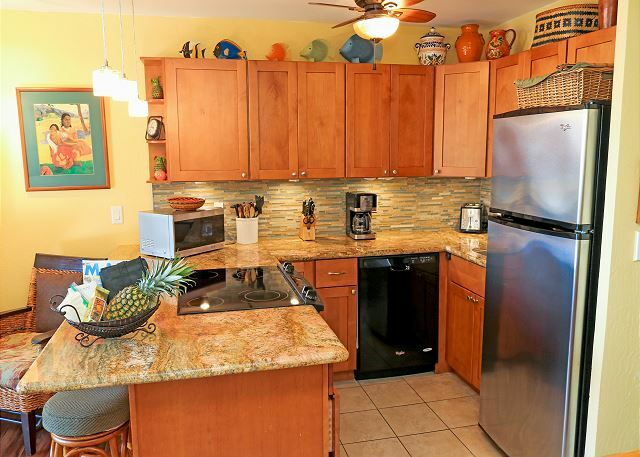 It is comfortably furnished with tropical furnishings and updated appliances in the kitchen. 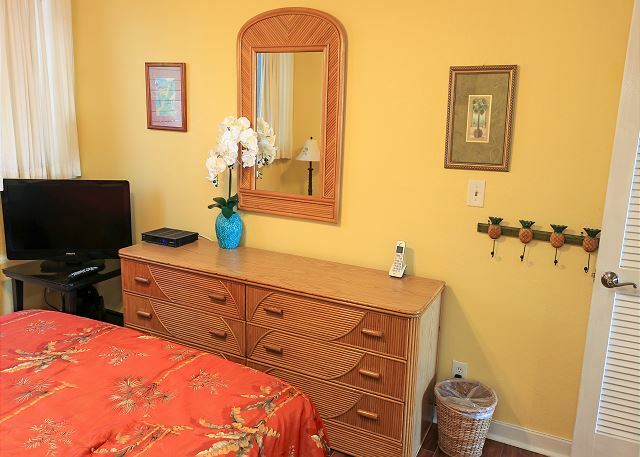 For indoor entertainment, two cable TVs, and a DVD/CD player are provided. This condo stays cooler than most as it stays shaded and doesn't get direct sun. 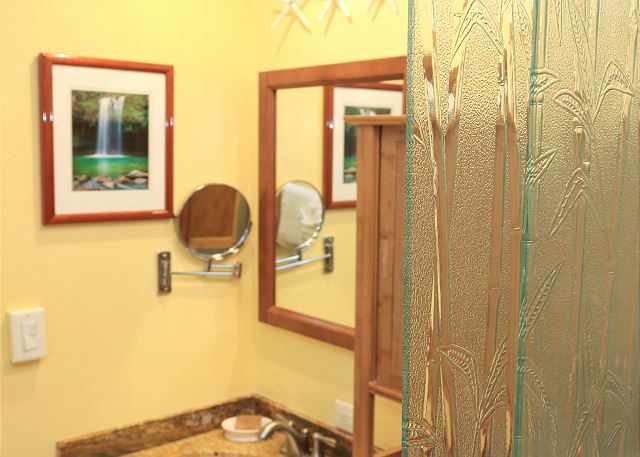 Come spend your Maui vacation in our tropical splendor. Free parking and internet! This is a non smoking/ vaping property. 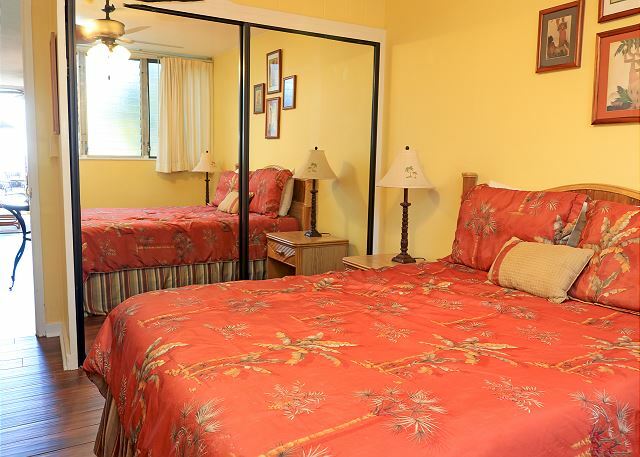 Beautiful property, very nice, cozy rooms. amazing views from room. Quite setting. Close enough for convenience but far enough from the crowds. Highly recommended. Will be back! Sounds like a great trip! 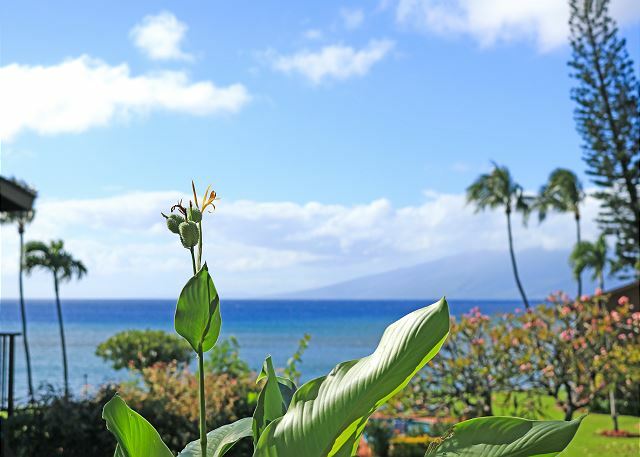 Mahalo for staying with us! 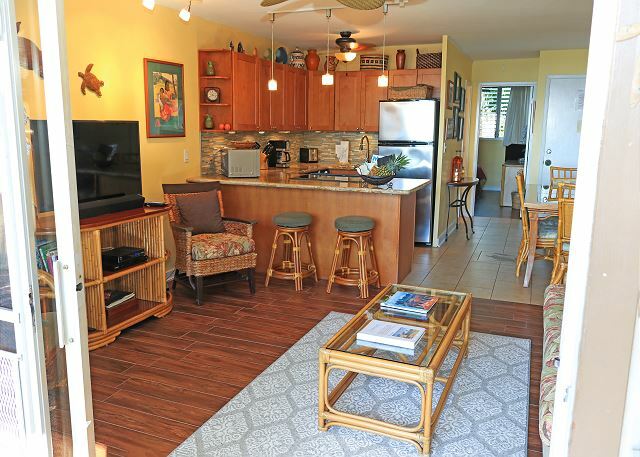 Polynesian shores is a gem, we had a fantastic stay and enjoyed the condo very much. Location was perfect! Excellent accommodations. Beautiful condo and grounds. I highly recommend Polynesian Shores for your next vacation. Sounds wonderful! Mahalo for letting us know! 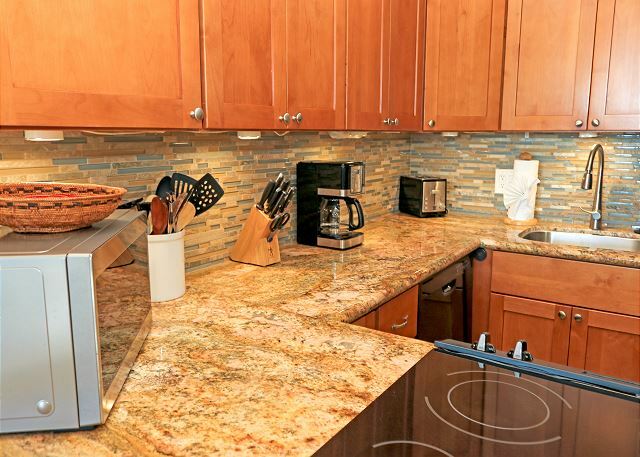 This is a great property with very helpful management. The unit was in excellent condition, recently updated and very clean. Very conveniently located. Overall we had a pleasant experience! 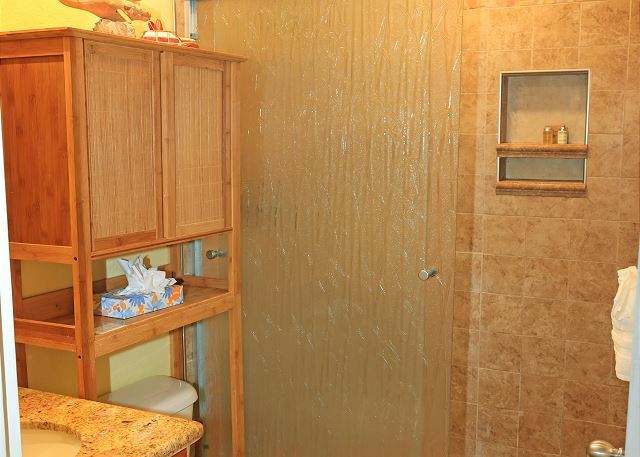 Condo was clean but could use some updates - carpets and furniture are dated. There is also too much furniture making it a little cluttered. The view isn’t straight on but you can see the ocean from the unit. The grounds were well kept and the pool, while small, was great. Bree was great. Lots of wonderful friendly people at the complex. A good mix of all ages. Our 2 kids had a blast and there were others for them to play with. I would recommend this complex and unit! Mahalo for staying with us. Your children are adorable! Especially enjoyed little "spider man"! I rented five condos and gave myoverall response for all with the response to Unit 225. Aloha! 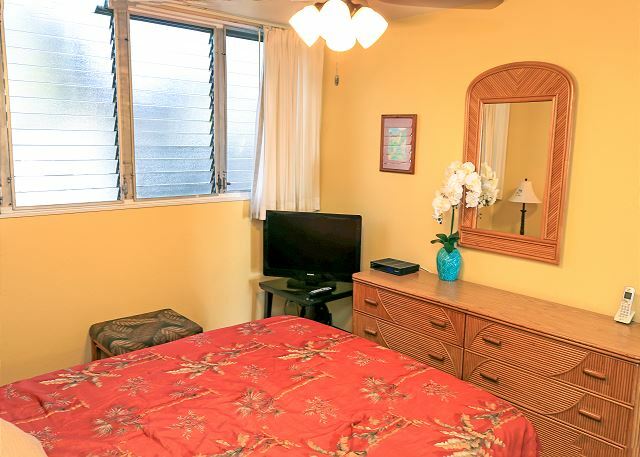 Mahalo for the great review on unit #125 and so happy to hear that your awesome family enjoyed their vacation! A hui ho!!! Wonderful time at Polynesian Shores with lots of great friends. I was very pleased with how easy it was to book our stay. Paying was easy without any trouble. It was very easy to find the office and locate our key and paperwork. We loved the gift basket, the location and amenities and the whole look of the condo. This will definitely be our first choice when we come back! We stayed here for our honeymoon and it was great! Very nice, clean, and quiet! We loved our much that we're coming back in Jan.2017!! 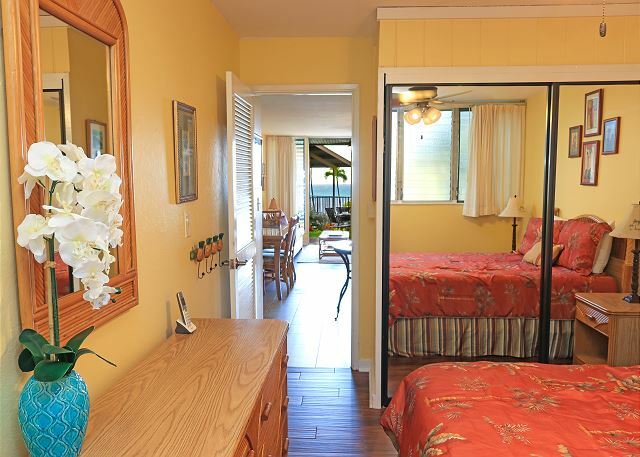 We have stayed here before and feel that is a great place to stay if you want a small oceanfront. The price is very reasonable especially for the location. We loved the condo we were in; it's location and views were wonderful. 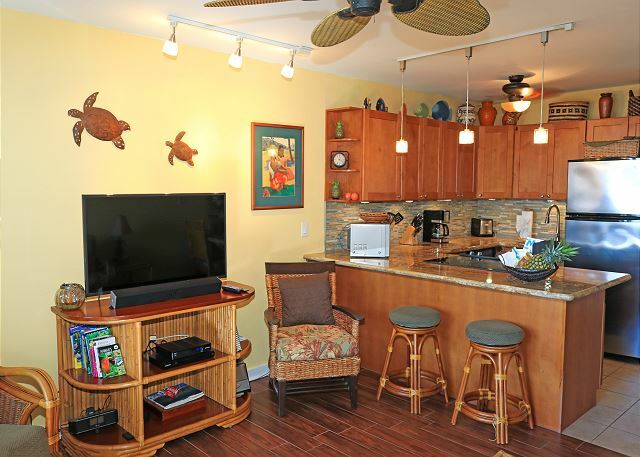 There were great beaches nearby, and an amazing view of sea turtles right from our property. The pool was lovely, too. 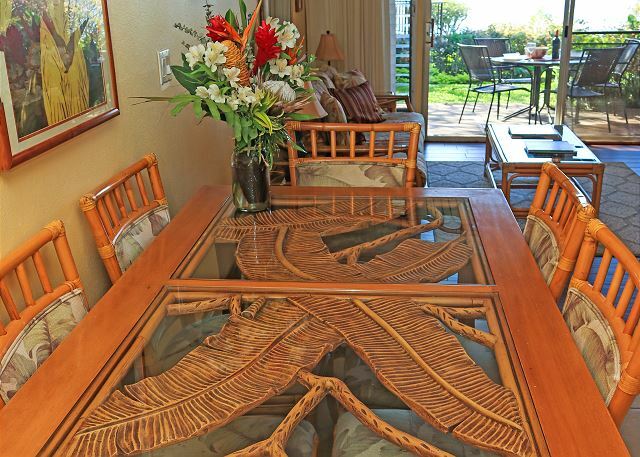 Well appointed Condo with beautiful views of the oCean. 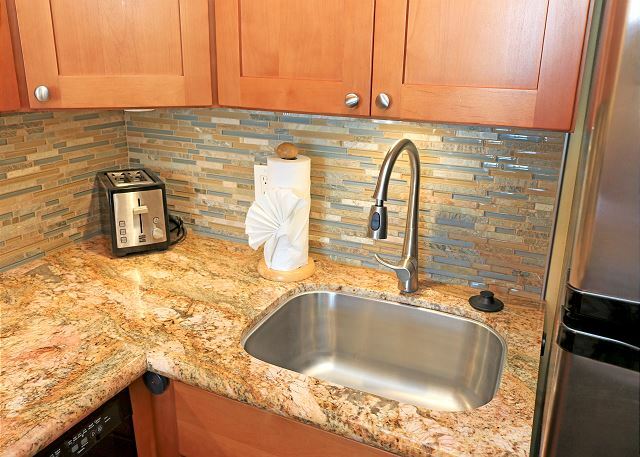 Although there's no air conditioning and the carpets need steam cleaning or replacement, it's a beautiful condo with updated kitchen perfect for cooking meals to Dave some money and easy access to the beach. The grounds are well maintained. Laundry facilities are right by the office. 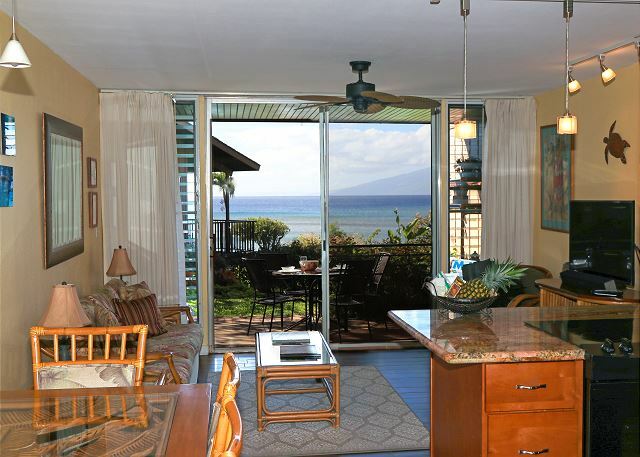 Close to markets and not too far from Front Street and Lahaina. The first night we found ants and black beetle - like pests inside but after the manager provided repellant the bugs were gone. Love it there. 3rd time, Coming back in December. We like it here, Didn't particularly like the location of 117, but the condo itself was very nice. 2 problems in the bathroom were never resolved tho' reported when we got there and not resolved when we left 30 days later. Very hard to turn on shower and the plug in bathroom sink didn't nwork. We probly won't stay in 117 again because although the ocean view is wonderful, that's all you can see--the grounds, gardens, and pool are concealed because of bushes and srubery. I love Julia--she is a terrific leader, very friendly and congenial. Don't ever let her quit! Great location! 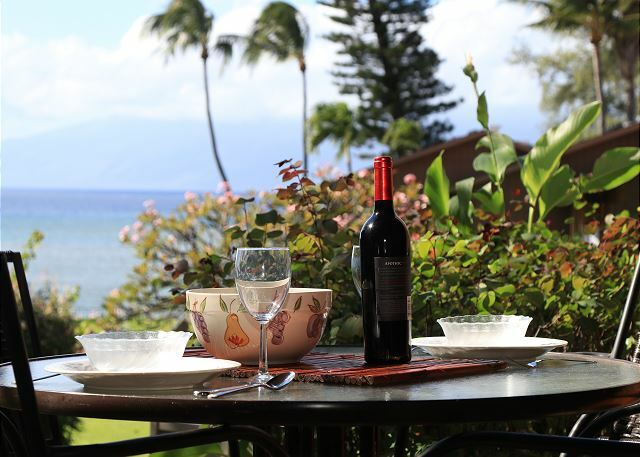 The property is right by the ocean affording a great view of the ocean with lots of whale watching opportunity (at the right time of year), very well maintained grounds with a nice swimming pool, great sunsets and BBQ's. 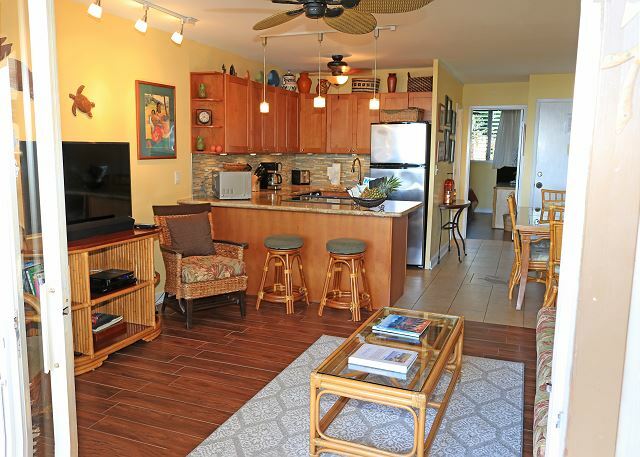 The condo units are older but most have been upgraded and improved, we were in a ground floor 1BR unit which is nice for access to the grounds but there is considerable noise from people in the unit above. 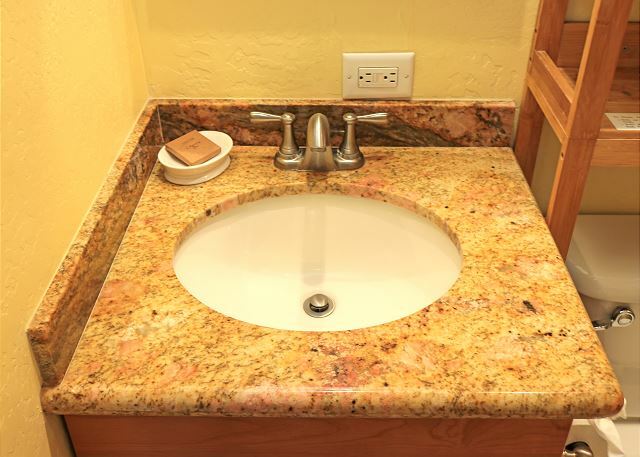 The property managers responded promptly when the kitchen sink faucet developed a leak and replaced it quickly. 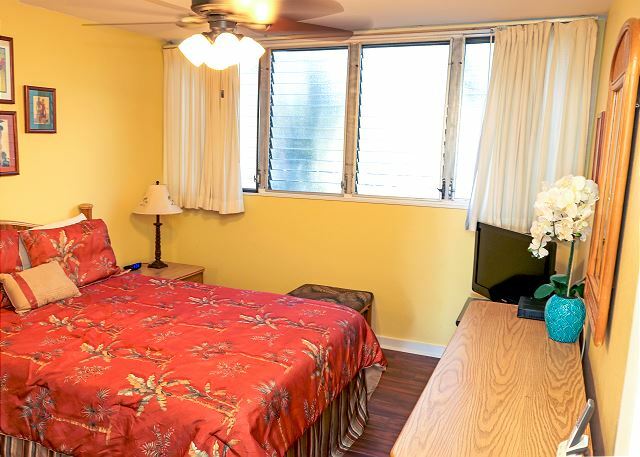 The condo is located in an area that has plenty of attractions and beaches a short drive away, while markets, restaurants and coffee shops are in walking distance. one night stay -- visiting family who had a longer reservation. Great weather; no whales; nice and clean condo. 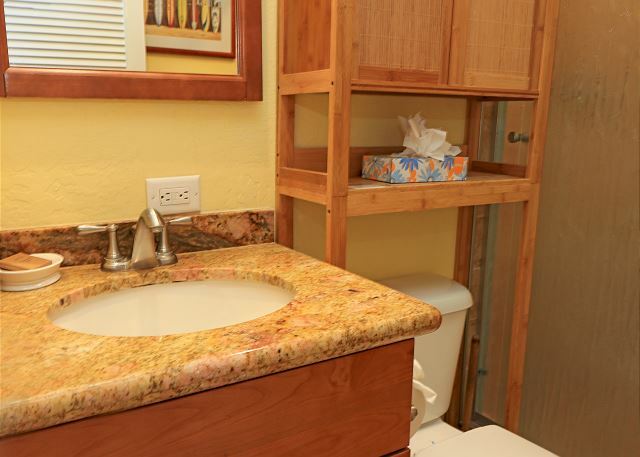 The condo was very comfortable and well equipped. 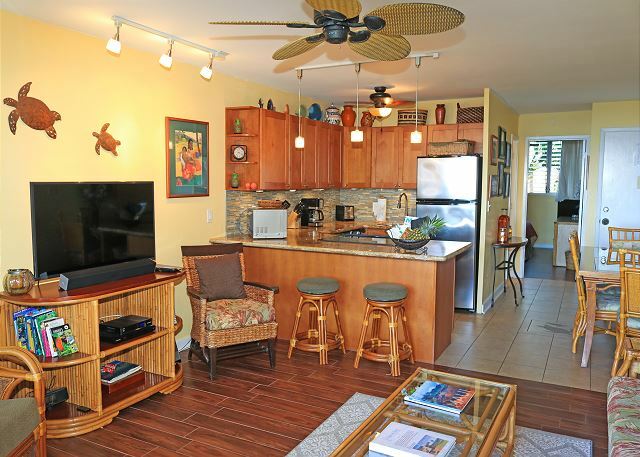 It was a perfect space for two people and we found it convenient to the attractions of the island. It is not air conditioned which was not a problem for our November visit but might be in the summer. The only issue we had was that outside there was no privacy and noise from surrounding units drove us inside on occasion. 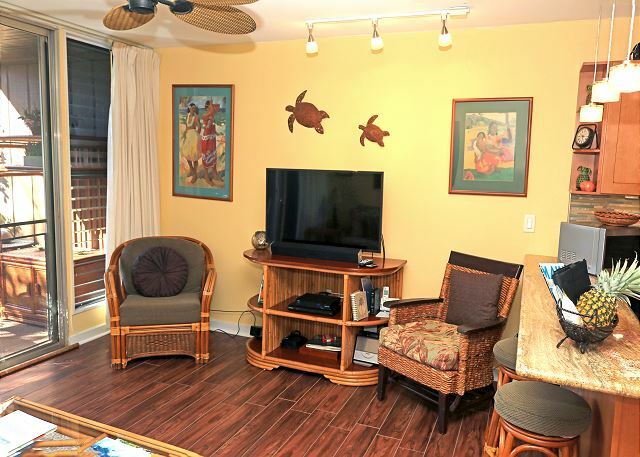 Well maintained apartment, steps away from the waters edge, beautiful little beach with stunning sunsets and sea turtles everywhere. We went for snorkeling and snuba. Next time we would to do first trials in standup-paddeling. 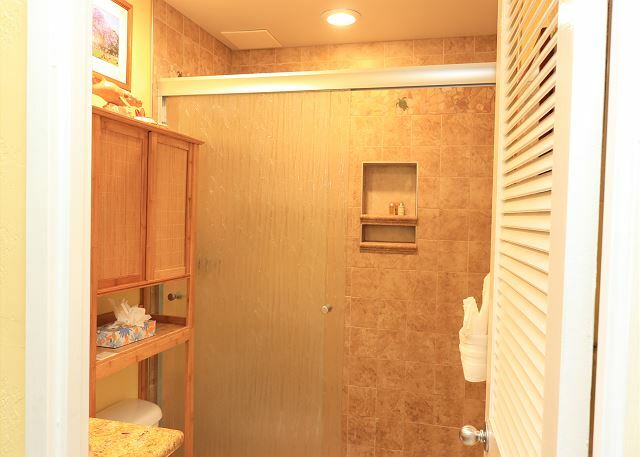 We would recommend this property to our friends.